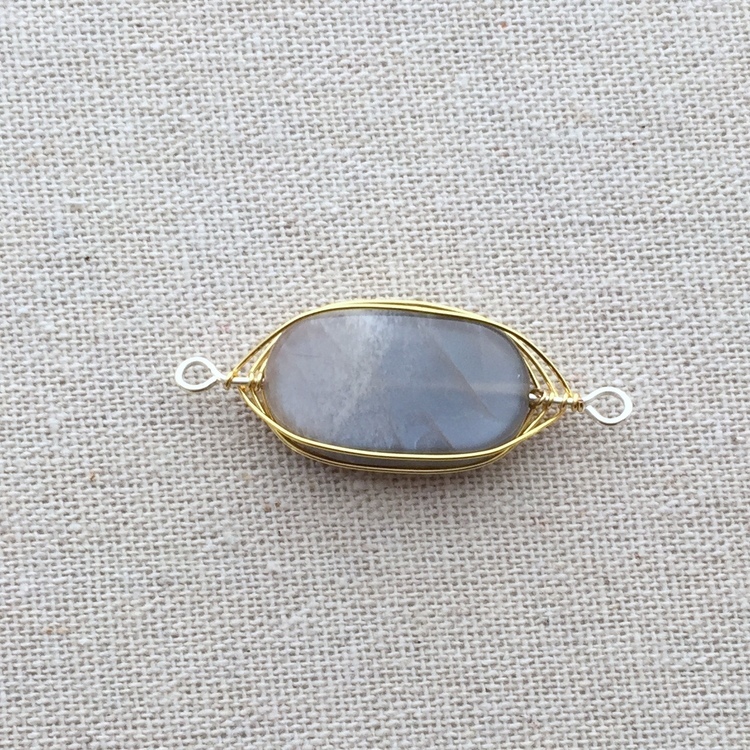 Lisa Yang's Jewelry Blog: Why is Herringbone Weave More Difficult with Flat Beads? - and What to Do About it. Why is Herringbone Weave More Difficult with Flat Beads? - and What to Do About it. 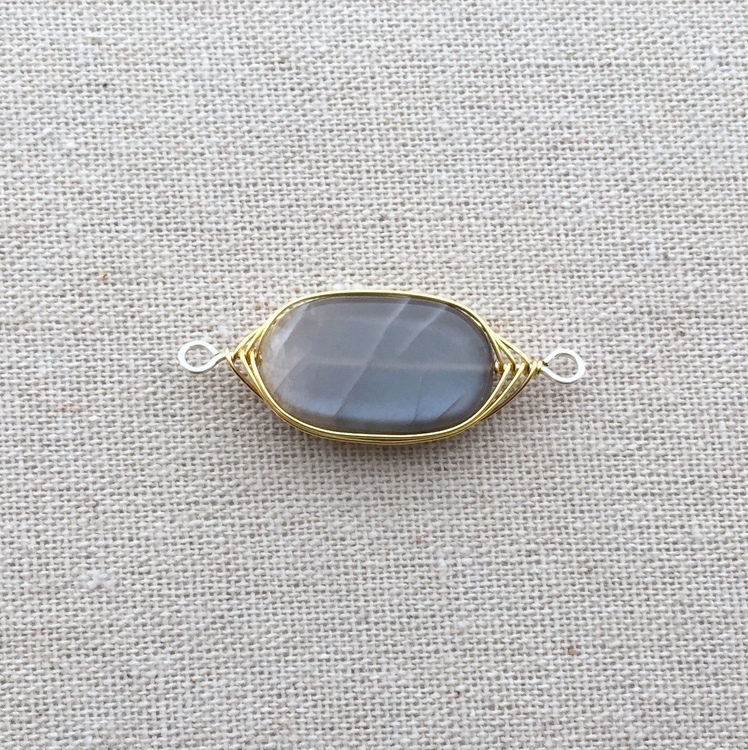 Although it may not be obvious, herringbone wire weave works best with beads that are round in the center. 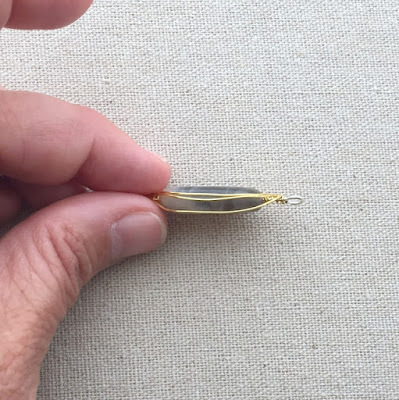 They don't have to be perfectly round beads, but oval, rondelle, drops, anything that is rounded will work best because the bead can turn in the herringbone frame and it will still look fine. So what do you do when you want to add herringbone wrap to flat beads? 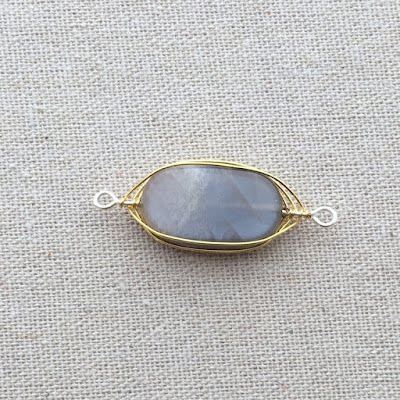 Flat beads include round coins, faceted or smooth tile shapes and flat nuggest like the large moonstone picture here. In a bracelet or necklace pendant, these beads are less likely to swivel in the setting, but as earrings, it is very likely that they will turn and can certainly ruin the intended look. 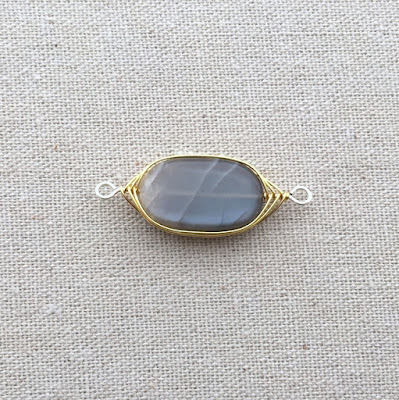 Even if you frame the wire tighty to the bead - it still happens. The solution that I like to use, is the make the last wrap go a little further back than normal. So, instead of putting it directly behind the prior wire, I place it so it just goes around the back edge of the bead to hold it in place. Looking at the bead from the side, it is slightly noticeable. It is even less noticeable from the back, but you can see that the herringbone encloses the bead. This angle probably shows it best. It is a basket around the flat stone bead. No more twisting means your pendant or earrings will always look as you intended from all angles. 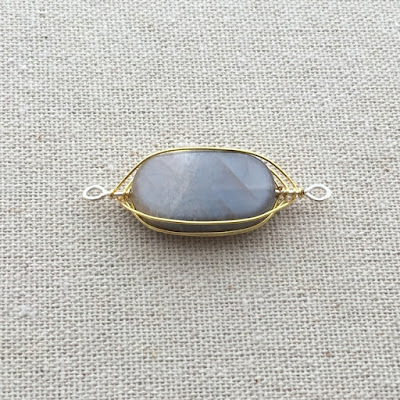 Try to keep the wire smooth and following the edge of the bead. 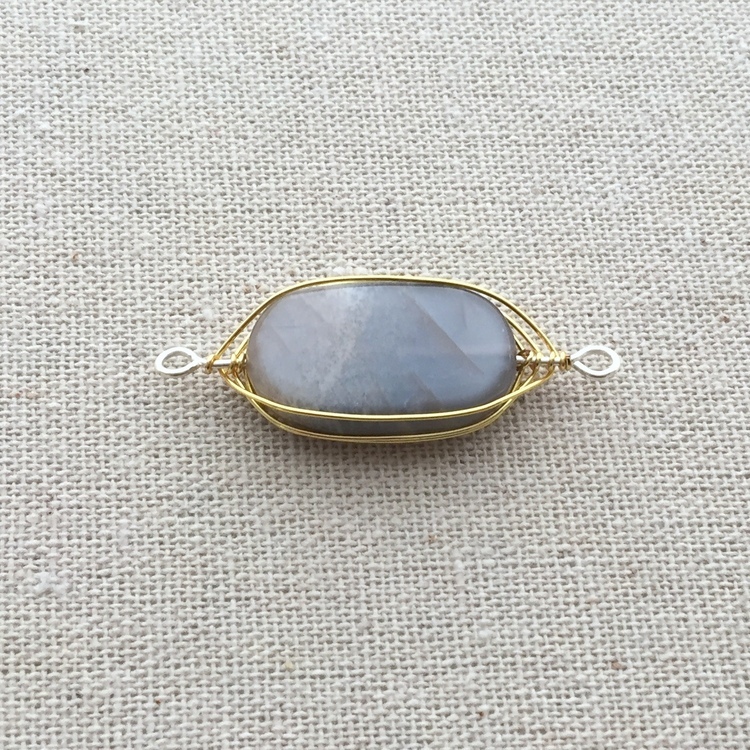 If you are new to herringbone, use this free herringbone wire wrap tutrial to learn how. Once you've had fun with that, you can try adding beads inside the herringbone wrap to achieve the look below. That's it for today! 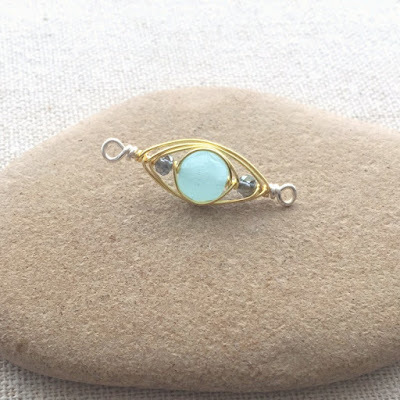 Have a great weekend and if you don't already subscribe - but would like to know when I add new jewelry making projects, sign up below.